by Noura Mansour on October 28, 2018 for Al-Shabaka Palestinian Policy Network. The government of Australia, along with Israel and the US, recently voted against the UN resolution to elect Palestine as chair of the Group of 77, enabling it to act like a full member state during 2019. That same week, Australian Prime Minister Scott Morrison announced that he is considering recognizing Jerusalem as Israel’s capital and moving the Australian embassy there. Hence despite the fact that Morrison’s statement on the embassy move is consistent with the framework outlined above, it is a shift even further to the right from his predecessors’ position. Earlier this year, former Prime Minister Malcolm Turnbull and former Foreign Minister Julie Bishop opposed the decision of the Liberal Party’s Federal Council to follow Trump’s lead and move the embassy. Neighboring countries such as Indonesia and Malaysia expressed their dismay regarding Morrison’s statement, and the move threatens to jeopardize Australia’s relations and status in the region. Indonesia even issued a statement that it would put a major trade agreement with Australia on hold if Morrison proceeds with moving the embassy. Further, the Australian media described the prime minister’s statement as shortsighted, silly, and a desperate attemptto both appeal to his far-right base and win the byelection in Wentworth, Sydney’s Eastern suburbs, by appealing to Jewish voters, who make up around 13% of the area’s population. This assumed all Jewish residents of Wentworth are Zionists and would welcome such alt-right policies – an assumption that proved false, as Wentworth voted against the Liberal Party. This leaves the party one seat short of a majority in the House of Representatives, though the federal government remains intact. 1. The conversation around the embassy move missed two important aspects – legality and morality – which should be brought to the fore in debates around Australia’s pro-Israel policies. Discourse around the move needs to emphasize its illegality under international law, as well as its immorality, particularly the fact that it goes against universal values and Australian national values of democracy and commitment to human rights. 2. 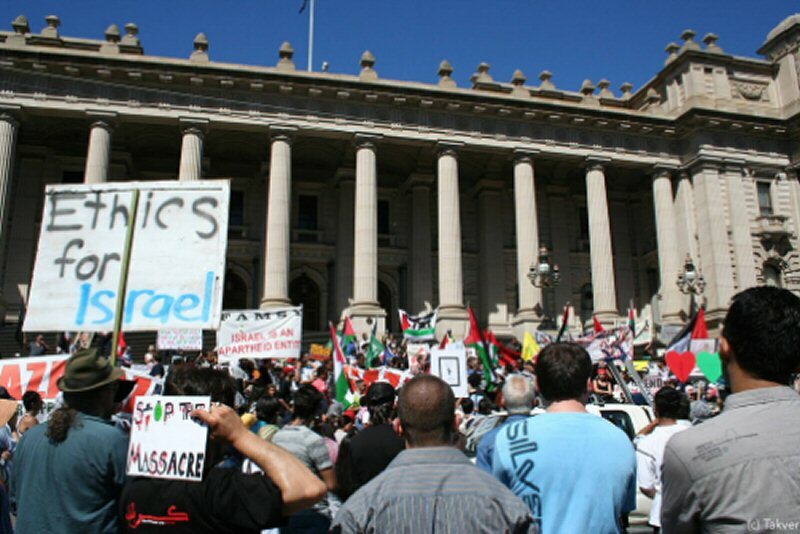 Civil society organizations and pro-Palestine groups have been organizing demonstrations and protests, as well as lobbying and petitioning, in order to send a message to Morrison that his policy will not be welcomed or supported by the Australian people. While this is a critical step, the momentum must now be sustained, regardless of the byelection’s results and the loss of the Liberal Party candidate, in order to continue pressuring a government that has historically undermined Palestinian rights. 3. Australia should reshape its foreign policy to bring it more in line with the country’s geopolitical landscape and national interests, rather than continuing with race-based policies and the importation of US policy regardless of whether it is suitable for the Australian context. Australia must recognize its place as an Asian nation with key trade relations with countries like Malaysia and Indonesia, whose pro-Palestine policies differ greatly than those in the US. Pressure from the public, the media, and civil society groups on Australia’s more left-leaning Labor and Green Parties could help spur a change in rhetoric and discourse on this front and, ultimately, bolster a change in Palestine-Israel policy.